Little cloud connected printer to give you personalised news at your home. Berg’s Little Printer is a cloud-connected device that prints out a personalized newsfeed and messages into a standard thermal receipt paper. 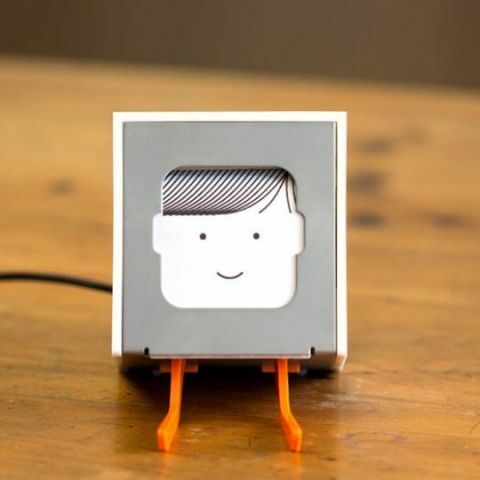 Little Printer, is developed by a London-based company Berg, allows your friends to send messages directly to the printer, photographs and much more. The Little Printer can get your emails from Gmail, Asana, Twitter, and GitHub, and prints it out in black-and-white. The Little printer comes with a customer-facing mobile website called 'Remote'. The printer can be used by consumers to receive and print direct messages and photographs sent via the Remote website. Secondly, users can also receive a wide range of content to a user-defined schedule, that can be printed on button press. The user interface is online and very easy to use. On the desk, the printer shows up as a cartoon face with two orange ‘legs’ The Little Printer is available for $199 from the company's website. Recently M3D has developed an affordable 3D printer for just $ 200. The micro 3D printer raised over $1,00,000 million on the crowd funding site Kickstarter within a day of its launch. M3D Micro printer is meant for beginners and experts alike according to the company and is designed with 'reliability, consistency and accessibility' in mind. The printer is very easy to use, and users can just plug in the printer, download or create models and print. M3D plans to begin production of The Micro printer between August and September this year and deliver the orders by March next year.